Organizational endorsements are welcome for this statement. Please click here or email april17@palestinianprisoners.org to endorse. “I hereby assert that I am confronting the occupiers not for my own sake as an individual, but for the sake of thousands of prisoners who are being deprived of their simplest human rights while the world and international community look on,” Sheikh Khader Adnan wrote from the bed that Israeli soldiers chained him to in the Ramleh prison hospital on 11 February. Sheikh Khader Adnan’s hunger strike has inspired millions and infused the Palestinian national and solidarity movements with new energy, and we must reflect on his call to the world and prepare a meaningful international strategy to support Palestinian prisoners’ struggle for freedom, justice, and equality. As of January 2012, 4,417 Palestinian political prisoners are held in jails in Israel, including 170 children and 6 women. Just like Khader, 310 prisoners are held – without charge or trial – under administrative detention including over 20 lawmakers. 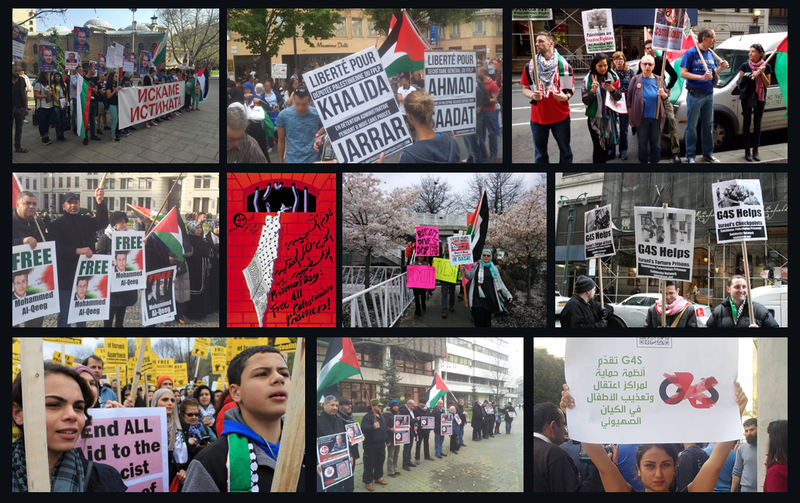 In solidarity with them, and to broaden Khader’s struggle, we will actively oppose their imprisonment and any detentions without fair trials. Torture and ill-treatment of detainees. The use of military courts in the occupied Palestinian territory that illegally try civilians. Undermining a fair trial by using secret evidence against the accused. Arresting vulnerable groups, such as children, disabled, elderly and ill people. Organize a protest in front of your local Israeli embassy, consulate or mission. Write letters to protest the violations of rights of Palestinian political prisoners and to call for an intervention to the International Committee of the Red Cross, UN Secretary General Ban Ki-moon and your government or parliamentarians. Picket and protest G4S, Motorola, the Volvo Group, and the Israeli Medical Association – all providing services to Israel’s prisons – as well as other targets of the Palestinian-led Boycott, Divestment, and Sanctions (BDS) movement, which challenges the Israeli policies of occupation, colonization and apartheid these repressive institutions maintain. Write letters to Palestinian prisoners expressing your support. 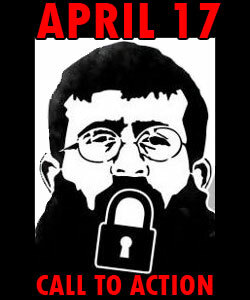 Let Khader Adnan’s hunger strike mark the beginning of a revitalized global movement for Palestinian prisoners, their rights, their families, and their struggle. Together, we can make it so.